Copies of Christian Bök's newest book The Xenotext: Book 1 will be available for sale at the event. Christian Bök is the author of Crystallography (Coach House Press, 1994), a ’pataphysical encyclopedia nominated for the Gerald Lampert Award for Best Poetic Debut, and ’Pataphysics: The Poetics of an Imaginary Science (Northwestern University Press, 2001). His book Eunoia won the 2002 Griffin Poetry Prize. Bök has created artificial languages for Gene Roddenberry’s Earth: Final Conflict and Peter Benchley’s Amazon. His conceptual artwork has appeared at the Marianne Boesky Gallery in New York City as part of the exhibit Poetry Plastique. He currently teaches at the University of Calgary. His newest book, The Xenotext: Book 1 is just out from Coach House Books. Geneva Chao writes and translates bilingually. 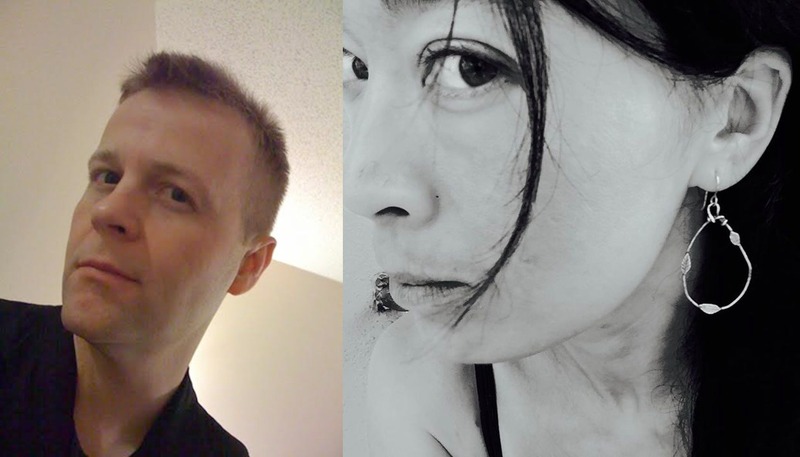 Her English translations of Nicolas Tardy's Encrusted on the Living (with François Luong) and Gérard Cartier's Tristran are forthcoming in 2015 from [lx] press and her first full-length collection, one of us is wave one of us is shore, will be published by Otis Books|Seismicity Editions in 2016. Greetings and kudus for tonight from Malaysia! Hi, i am inspired by your blog and would like your inputs on my blog too.Thanks. Check this out..
lovely post share. I like your all post. thanks for share that post. I just want to tell you that I am just beginner to blogs and actually savored you’re page. Most likely I’m likely to bookmark your blog . You surely come with fantastic well written articles. Bless you for sharing with us your web site. Thanks for sharing your knowledge !! !